In a bowl mix ground chicken with egg,cornstarch and season with salt,pepper,garlic powder,cumin and green onion mix well with hand until all ingredients combine. Meanwhile, in a food processor mix peanut sauce ingredients until smooth,transfer into sauce pan add water and simmer until the smooth,set aside. 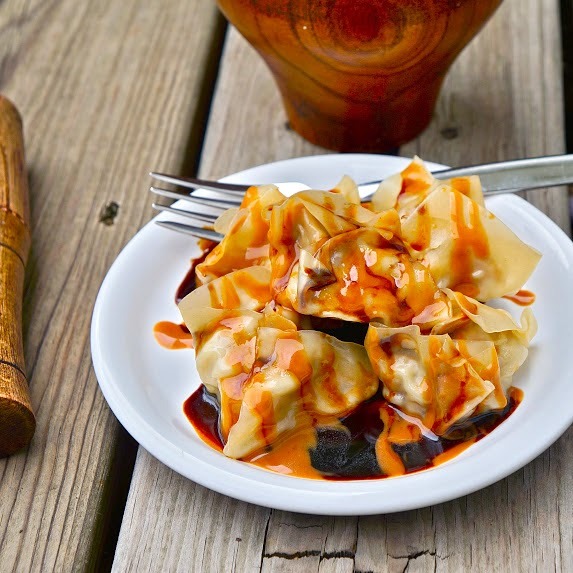 drizzle the sauce on top of hot chicken dumplings add more sweet soy sauce on top and ready to serve, splash with kafir lime juice (limau) are best if you have it.